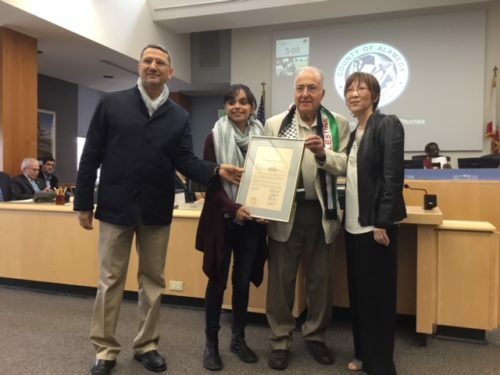 Today, the Alameda County Offices Board of Supervisors recognized May 15, 2018, the 70th year of the Nakba, as Palestine Cultural Day. 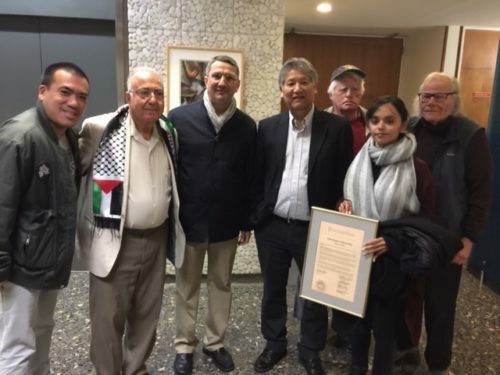 The people of Palestine–from Gaza, Haifa to Jerusalem– face daily violations of their human rights, and continue to assert their right to return to their homelands. We thank Supervisor Wilma Chan for taking the lead on this effort and the effort to end Urban Shield. Let’s continue to make the Bay Area a model for resistance to militarism everywhere, and in support of people’s dignity and liberation from here to our homelands.